Francisco DeVries was familiar with all the grand plans and high-flown talk about solarizing the world&apos;s power mix to fight global warming. Then he found himself staring at a problem that seems, somehow, to have repeatedly escaped the climate evangelists&apos; attention. DeVries is a confessed save-the-climate junkie, and his professional credentials include a stint as an appointee in the U.S. Department of Energy under President Clinton. More recently, though, he earned his paycheck as the chief of staff for Berkeley, Calif., Mayor Tom Bates. About two years ago, DeVries was charged with implementing an ambitious new measure to cut the city&apos;s greenhouse gas emissions 80 percent by 2050. Despite California&apos;s reputation for all things green, less than 0.5 percent of homes in the state have photovoltaic systems. Berkeley&apos;s greenhouse gas-reduction program is, in large part, aimed at encouraging the city&apos;s homeowners to put solar panels on their roofs. Because DeVries was in charge of spearheading the initiative, he says, "I thought I should walk the walk: I thought I should get solar on my own house." But when he knuckled down to the task, DeVries came face-to-face with the high cost of going green. "The bids came in, and I couldn&apos;t pull the trigger for all the same reasons that people everywhere aren&apos;t pulling the trigger," he says. "Which is, &apos;Oh my lord, that&apos;s a big check.&apos;"
The average cost of a residential solar installation in California is around $30,000. That&apos;s not exactly the kind of money everyone has just lying around, and it confronts homeowners with the prospect of having to refinance their mortgage or open a home-equity line of credit to pay for an upgrade that, to a large extent, will serve the collective good. And, DeVries points out, if you install solar panels and then move — as the average California homeowner does every five to seven years — "that means you&apos;ve just bought your next owner all this free electricity." DeVries was hardly the first homeowner whose virtuous intentions were frustrated by the cold realities of credit. Many a person might have thrown their hands up in frustration, bought a couple of compact fluorescent light bulbs and salved the shreds of his public-spiritedness with a bottle of Chablis. 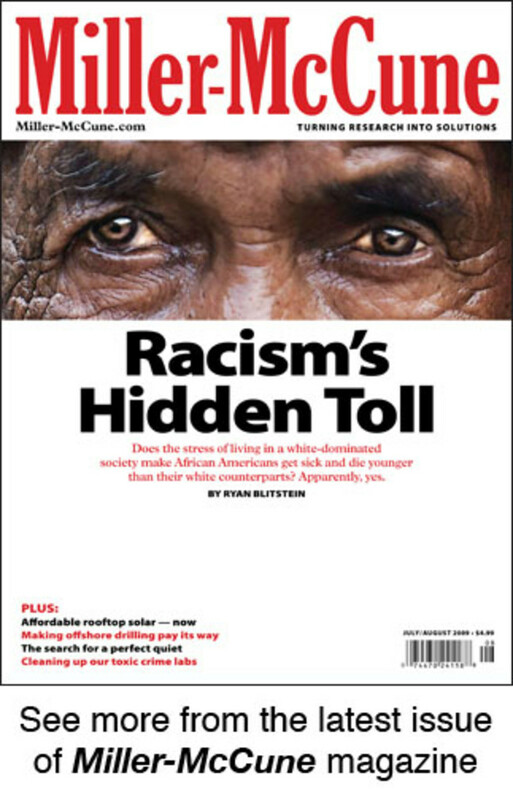 But DeVries recognized his conundrum as a symptom of a bigger problem. He was struck, in particular, that the money people spend on their monthly electric bill could instead be channeled into retrofitting their homes with solar. "The money&apos;s there. The money&apos;s there. People are paying it hand over fist, every month. But we as consumers aren&apos;t (doing solar installations)," he says. "At its root, there is a financing market failure for renewables and energy efficiency in people&apos;s homes. Everybody&apos;s talking about all the technology, but we have to solve the financing problem." It is not, on its face, a particularly glamorous problem to take on. But two years later, DeVries seems to have devised a solution — one that, in spite of its decided wonkiness, Mayor Bates has taken to referring to as "Berkeley&apos;s most important contribution to fighting global warming." DeVries has the slightly manic air you&apos;d expect of a political chief of staff. He is a tall, rail-thin and slightly bookish person, with a to-do list that seems like it might benefit from a couple of extra hours in each day. By his own admission, DeVries&apos; intellectual preoccupations tend to run "a mile wide and an inch deep." At the time he was given responsibility for implementing Berkeley&apos;s greenhouse gas-reduction program, DeVries was actually trying to get out of public service. Bates had recently been elected to a second term as mayor, and DeVries had a 2-year-old son at home. "I had a really stressful job," he says. "I loved it, but I was a little burned out at that point." For some reason, though, the clean-energy financing problem focused DeVries&apos; energy. The problem wasn&apos;t actually money: If your monthly power bill is $130, as DeVries&apos; is, you would make a total of $31,200 in payments over 20 years — about what it would cost to install a photovoltaic unit on your home. Put in those terms, going solar seems like a smart move. But, as DeVries discovered, plunking down cash on the barrelhead for a new solar system is a daunting proposition. Mayor Bates recognized that if the city could provide financial assistance to homeowners, it would go a long way toward turning the city&apos;s carbon-emission goal into reality. But the financing, he says, was a sticky point: "It&apos;s hard to take your general fund money and put it into an untested idea." As it happened, though, DeVries found himself involved in another matter of civic procedure that, he realized, offered a model for the problem that had come to preoccupy him. A Berkeley neighborhood had decided to put its utility poles and power lines underground. To pay for the project, the city created an underground utility district, a type of land-secured financing district that is a standard element of municipal bond finance. The utility district would sell bonds to cover the upfront costs of the project. Homeowners in the project would then pay back the money through a tax assessment levied on their property — essentially an installment plan that would spread the repayment over 20 years, much like a recurring utility bill. The bonds would be made secure through a tax lien put on each participating property. "We&apos;ve been using (land-secured financing districts) for everything from parks to open space to streets to sewers to underground utility districts for 100 years," DeVries says. "And I thought, &apos;Well, geez: That mechanism might help solve my problem.&apos;"
The utility-district kind of financing arrangement is especially attractive because a municipal bond carries relatively low interest, opening up a lower-cost option than would otherwise be available to homeowners. (Also, because the home itself serves as collateral, even homeowners with less-than-stellar credit are eligible.) But when it came to solar installation on people&apos;s houses, DeVries says, "nobody had ever tried to give individual property owners access to the municipal bond market before." To open up access to that market, DeVries proposed creating a Sustainable Energy Financing District, into which property owners who wanted to install solar systems could annex themselves. That district could then issue bonds whose proceeds could finance the upfront costs of photovoltaic systems; participating homeowners could use the money they save on their utility bills to pay the tax assessment. That assessment stays with the property, so if a homeowner moves, the next resident picks up the repayment — and gets the solar power. Under the program, a $30,000 system would carry a $245 per-month property tax. But, when offset with rebates from the local energy utility and state and federal tax credits (the federal credit alone, for 30 percent of the cost of the system, knocks the effective tax down to $172 per month), the price of going solar ends up being close to what it would cost to continue buying power from the grid. The Berkeley City Council approved the Sustainable Energy Financing District in November 2007, and the idea immediately attracted interest from points far beyond Berkeley. In fact, two weeks before the city council greenlighted the program, the San Francisco Chronicle ran a front-page story about it. DeVries had the day off and was at home when the paper hit the streets, but within hours, "my cell phone went crazy. We received hundreds of calls — from property owners that wanted to do it, solar companies that wanted to be involved, other cities that wanted to learn how we were doing it." Still, it wasn&apos;t clear who, exactly, would buy the bonds. Last spring, DeVries finally left his job at the Berkeley mayor&apos;s office. He spent several months as a stay-at-home dad and moonlighted as a consultant for various clients on energy-related issues. But he found that once he&apos;d started thinking about how to reduce the climate impact of the average home, he couldn&apos;t stop. "I&apos;m constantly cognizant of all the ways in which our homes are wasting energy," he says. 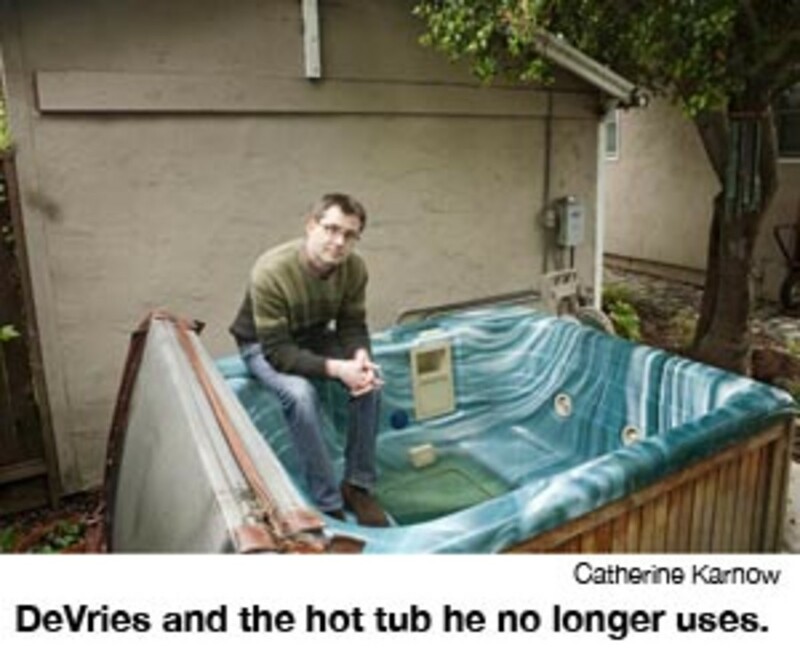 DeVries is a confessed hot-tub aficionado, but "this whole thing has ruined hot tubs for me." Even spending time in homes and offices that still use incandescent light bulbs, rather than compact fluorescent lights, is, as he puts it, "like hearing nails on a chalkboard." Berkeley, meanwhile, was struggling to get a bank to back its bonds. Several banks did express interest but, because they weren&apos;t sure how to incorporate the new type of bond into their portfolios, indicated that it could be awhile before they were ready to take the plunge. And worsening economic conditions didn&apos;t help. "Banks have been traditionally very conservative, and of course they&apos;ve gone through a horrible meltdown," Bates says. "It was the worst possible time to be talking to them about a new idea." In the meantime, though, a financier named Stephen Portis had started working with the city to find funding for the program. Portis recognized the broader need for a company that could act as a financing partner for municipal clean-energy programs, and, last summer, started a company called Renewable Funding, with its offices in downtown Oakland. And he roped DeVries back into the game, asking him to work as a consultant to the company to figure out how, exactly, to bridge the gap between individual home owners and the bond market. DeVries purposefully stayed clear of any work on the contractual nuts and bolts of the Berkeley program. But he created a "turnkey" model that cities could adopt to access on-demand financing for energy projects, a model that Renewable Funding now calls CityFIRST. That model, in effect, bundles scores of bonds for individual solar-installation projects into a package big enough that it won&apos;t be laughed out of the market. The first incarnation was a bond purchase agreement with the city of Berkeley. "Securing the funding was a big problem," Bates says. "The banks were interested, but when push came to shove, they weren&apos;t ready to go. So we were lucky that Renewable Funding came along." Under its agreement with Berkeley, Renewable Funding pledges to buy all of the bonds for the city&apos;s $1.5 million pilot program. The company will buy the individual bonds in small increments as they&apos;re needed at an interest rate of 3.25 percent over the 10-year Treasury rate or 6.75 percent, whichever is greater. "We&apos;re sort of micro-financing these things within the municipal bond world," DeVries says. "We have one master bond indenture, but every bond that gets purchased is, in fact, a tiny micro bond. They sell us a little itty-bitty bond as part of this bond indenture, and we wire them the money." When DeVries left the city of Berkeley, he hadn&apos;t been intending to dig much deeper into the ugly details of financing solar-retrofit programs. But his work to figure out the financing angle made him think again. "Pretty quickly," he says, "I realized this is what I want to do." Last fall, once Renewable Funding finalized its deal with the city of Berkeley, Portis hired DeVries as the president of the new company. "There were a lot of questions about whether or not you could end up bringing the money to make the program work," DeVries says. "That&apos;s what we do, and I think that&apos;s probably what was needed to make this work." Now, Renewable Funding is working to sell the bonds it had issued, largely in an effort to prove the market for them. Originally, the company had hoped to turn to the public bond market, but the market&apos;s implosion last year sent interest rates soaring from 6 1/2 to 7, and then 7 1/2 to 8, 8 1/2 to 9, and 9 1/2 to 10 percent. "People got scared," DeVries says. "Everybody was looking at it and having a heart attack." Rates in the bond market have been settling down again. But Renewable Funding has begun pitching the bonds as boutique investments to the growing class of socially responsible investors who are trying to use their money to leverage environmental change and who might like the bonds for, as DeVries puts it, "some other reasons besides just a 6 or 6 and a half percent return on their money." "If somebody&apos;s sitting there saying, &apos;Do I want these sewer bonds from Fresno or these Berkeley clean-energy bonds? I&apos;m kind of indifferent; I&apos;ll go with the cheaper deal,&apos; maybe we&apos;re talking to the wrong group of people," DeVries says. "The greenness of them doesn&apos;t necessarily get you a discount, but it buys you the opportunity" to pitch it to socially enlightened investors, he says. "They&apos;re willing to take a long-term view, as opposed to a big bond-investment company making a quick decision that day about how to maximize returns." Renewable Funding has already secured firm commitments from private buyers for the Berkeley bonds. Now, the company is in discussions with a major infrastructure-development bank about a $50 million facility for long-term debt, which will give Renewable Funding the money to purchase bonds issued by programs elsewhere, too. The entire concept is still just getting off the ground. In Berkeley, 38 homeowners enrolled in the city&apos;s pilot program, and the first solar installations there were completed this spring. The city will soon expand its program to include energy efficiency projects such as weatherproofing and heating, venting and air conditioning upgrades — which actually offer better returns per dollar in terms of greenhouse gas-emissions reduction. The model is beginning to take off. Last fall, the city of Palm Desert, in Southern California, began its own program. That program focuses on improving energy efficiency as well as installing solar panels, and has already made $7.5 million in loans to 208 homeowners. Last year, the California Legislature also created a statewide Clean Energy Finance Program that allows governments throughout the state to issue bonds like Berkeley&apos;s. Sonoma County, in Northern California, and Boulder County in Colorado, are now starting their own versions of the program; San Diego will start a program this year, and San Francisco hopes to make at least $20 million in loans this year. Local governments are now turning to a wide variety of sources, not just Renewable Funding, to launch their programs. And, DeVries says, that&apos;s fine by him. "Over time, it&apos;ll probably be a very big market, and it&apos;ll be more than just us," he says. "And that&apos;s as it should be." Palm Desert, for instance, began its program last August with $2.5 million from the city&apos;s general fund, although the financial downturn has made city finance managers much more skittish about such commitments now. "I would be barbecued if I were to try that today," says Patrick Conlon, who runs the city of Palm Desert&apos;s Office of Energy Management. The city funded the second phase of its program by selling a bond to the local redevelopment agency and has recently issued a request for proposals for the third phase of its program. Renewable Funding is helping to administer Boulder County&apos;s program, but the county will try to sell its bonds directly on the bond market rather than going through an intermediary. When San Francisco recently issued a request for proposals from funding partners, Renewable Funding threw its hat in the ring — as did several banks, including Wells Fargo, which are now apparently feeling more confident in the concept. "We cast a pretty wide net," says Johanna Partin, who manages San Francisco&apos;s renewable energy program. "We&apos;ve learned a lot from places like Berkeley and Palm Desert, but there&apos;s still a lot left to be learned." Conlon, the Palm Desert program manager, acknowledges that the financial realities are not exactly sunshiny right now: "I cannot think of a worse time to go out and try to sell bonds. I&apos;ve never seen the climate as bad as it is." But the demand is staggering. "I&apos;ve got a waiting list of over 200 people. We could do a $40 (million) or $60 million loan program, and it would get snapped up in a heartbeat," he says. "We&apos;ve created a monster." For DeVries&apos; part, he&apos;s happy to have cooked up a better way to help the masses take a hand in the fight to save the climate. "Our goal is not to take over the market for financing solar and energy efficiency," he says. "It&apos;s to provide a financing mechanism for people who otherwise could not or would not get solar and energy efficiency. "And that swath (of people) is a lot bigger now than it was a year ago."